This morning, I was about to show you an art journal page, but by the time I opened my computer, I read the terrible news. Bruxelles was hit. Twice. I don't have word for that, only tears. Again. The background is a Color and Create paper by DCWV, the stamp is a Gorjuss girl (Docraft). I colored with Copic Sketch markers. 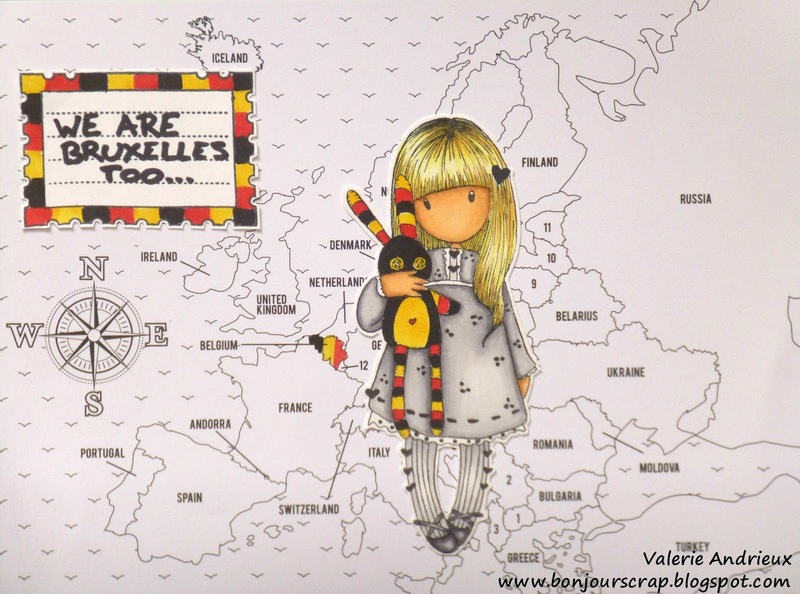 Sympathy and love to my Belgian friends and to all of those who suffer from this awful strike. I'm a 2016 Beacon Maker ! My first live broadcast on Periscope !